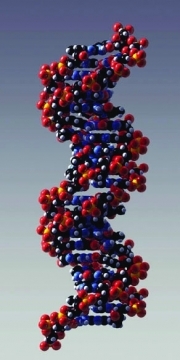 Deoxyribonucleic acid (DNA) is a molecule that stores genetic make up, or code. All living things have DNA. Christ never planted the seeds of death in the system. Satan planted these seeds when he tempted Adam to eat of the tree of knowledge which meant disobedience to God. Not one noxious plant was placed in the Lord's great garden, but after Adam and Eve sinned, poisonous herbs sprang up. In the parable of the sower the question was asked the master, "Didst not thou sow good seed in thy field? from whence then hath it tares?" The master answered, "An enemy hath done this" (Matthew 13:27,28). All tares are sown by the evil one. Every noxious herb is of his sowing, and by his ingenious methods of amalgamation he has corrupted the earth with tares(2 Selected Messages 288). You will likely find your favorite foods will not withstand GM scrutiny. The biotech industry has necessitated some significant lifestyle changes for health-conscious individuals, but prevention is obviously better when no cure is possible, and much can be said for a simpler diet, anyway. The more unprocessed or minimally-processed and fresh foods we eat, the more likely we will see significant improvement in our health, concentration, sleep, and energy. Better diets improve children’s behavior, sleep, and learning. Additionally, by following a simpler, whole-foods diet, not only will we reduce our excitotoxin exposure but our food expenses may actually decrease. A diet based on fruits, vegetables, grains, legumes, and nuts/seeds is truly the healthiest for all ages. For more information visit the Union of Concerned Scientists. 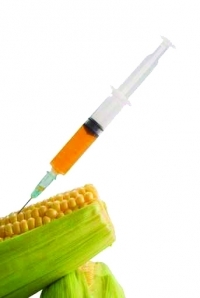 To read more about the harmful effects of GMO Foods, visit Raw Wisdom. i F. William Engdahl, Seeds of Destruction: The Hidden Agenda of Genetic Manipulation (Global Research, 2007): 21–29. Pusztai’s findings were eventually published in Stanley Ewen and Arad Pusztai, “Effects of Diets Containing Genetically Modified Potatoes Expressing Galanthus Nivalis Lectin on Rat Small Intestine,” The Lancet (October 16, 1999). iii Jeffrey Smith, Seeds of Deception: Exposing Industry and Government Lies about the Safety of the Genetically Modified Foods You’re Eating (Yes! Books, 2003): 37. See seedsofdeception.com. Smith is founder and director of the Institute for Responsible Technology (responsibletechnology.org). iv Archives of Otolaryngology Head & Neck Surgery, January 2009.
v T. Colin Campbell, The China Study (Benbella Books, 2005).